Helping patients receive the right care and looking after the hospital workforce – nothing is too much trouble for Harpal Tiwana. Twenty four years ago she started in the NHS at the tender age of 16, and is now the Assistant Service Manager at Sandwell and West Birmingham NHS Trust, making sure thousands of patients receive the right care at the right time in the right place. Her role sees her support a range of services within the Trust, such as Rheumatology, Dermatology, Diabetes and Endocrinology, Medical Infusion, and the Sexual Health Service. She explained: “I ensure everything is run like clockwork. All clinics need to be fully utilised, patients need to be seen and treated within national targets, and if clinicians suddenly become unavailable, I have to make quick decisions so that patients can still be seen. Harpal is a familiar face within the Trust, not only for her long years dedicated to working for the organisation, but also for her important role as a Freedom to Speak Up Guardian. “At our Trust, we encourage staff to speak up about any concern that they have, so actions can be taken to resolve them. Sometimes, all staff need is to be able to talk to someone who they can trust, and that’s how my role comes into place,” she added. “There are nine of us who are Freedom to Speak Up Guardians within the organisation. We give staff the confidence to speak up and make sure their issues are looked into. 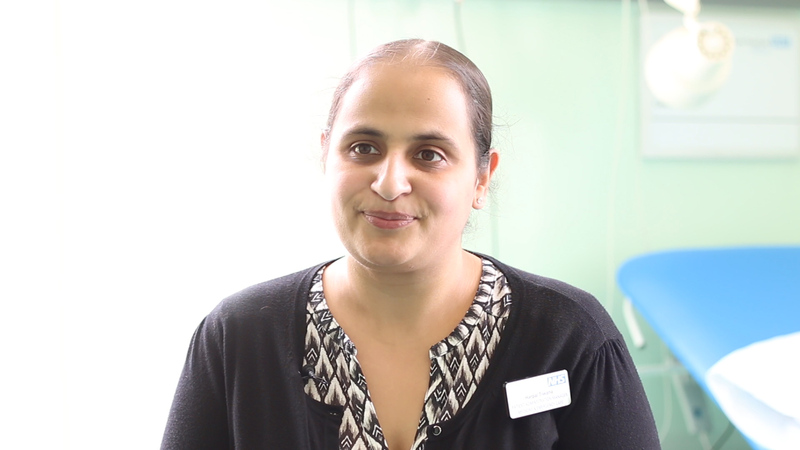 Mum-of-one Harpal, from Smethwick, started working at the Trust after finishing her GCSEs. She recalled: “When I left school, I accidentally fell into working in the NHS and I have never looked back since. “I started as a medical secretary, working at City Hospital. I then had the privilege to work alongside Professor Caroline Gordon, who is one of the top Lupus experts in the country. After ten years, I was promoted to the role of senior medical secretary. I think one of my career highlights was when the Lupus clinic at City Hospital was recognised as a centre of excellence – it really made me proud. In her spare time, Harpal enjoys reading crime novels, listening to music, and spending time with her husband and eight-year-old son.